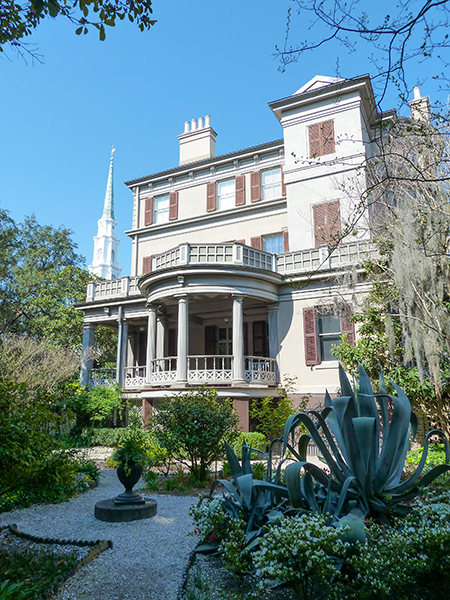 This estate located in Percival Ward—one of the original blocks included in the plan for Savannah laid out by James Edward Oglethorpe in the 1730s — was the birthplace and home of Juliette Gordon Low, the founder of the Girl Scouts of the USA. The house was constructed for politician James Moore Wayne in 1821. A decade later, Wayne sold the property to William Washington Gordon and it would remain in the Gordon family until 1953. 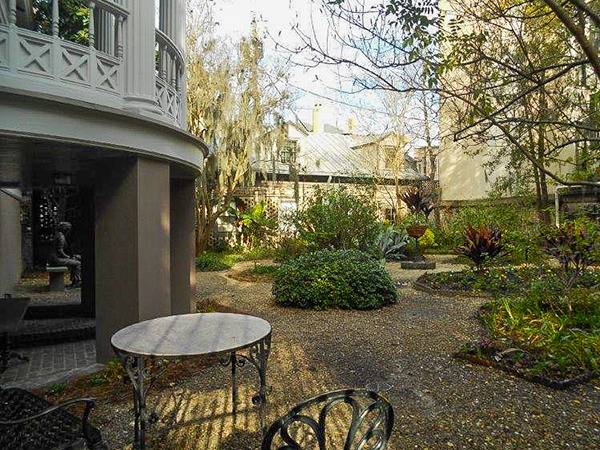 Juliette Gordon was born in the house in 1860 and lived there until 1886, when she married William Mackay Low. Upon her husband’s death in 1905, Juliette Gordon Low inherited his property a few blocks southeast of her childhood home, and she lived there until her passing in 1927. In 1953 the Girl Scouts acquired the Wayne-Gordon property, which was adapted to serve as an interpretive center and house museum. 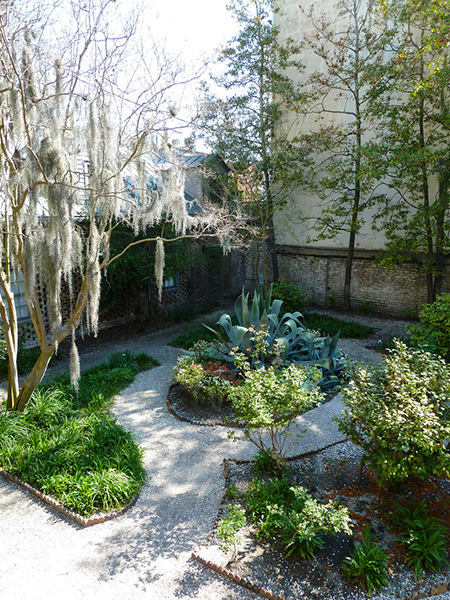 Landscape architect Clermont Lee was commissioned to design the garden. 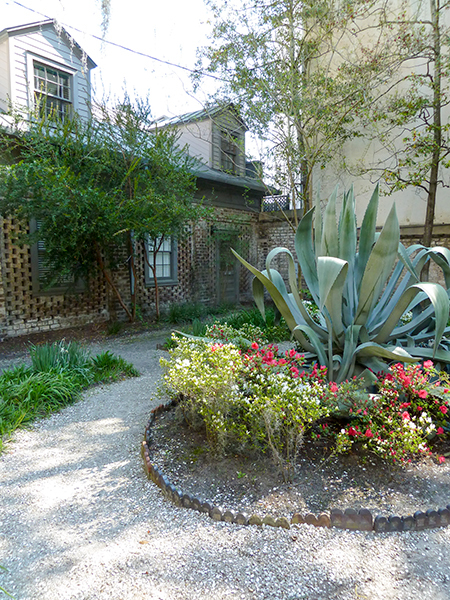 Her plan, based on gardens from the 1850s, included plants that were popular during Low’s childhood. 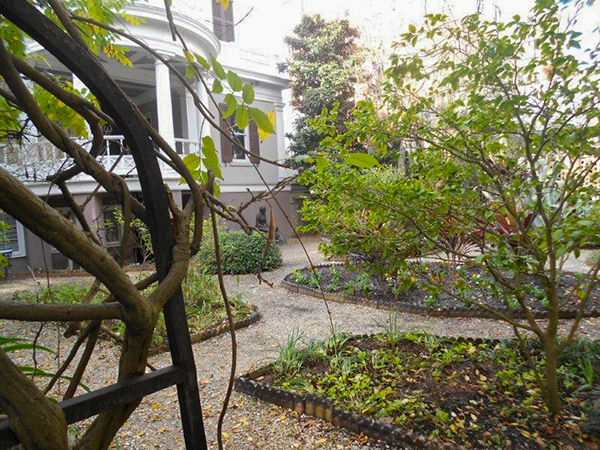 Enclosed by elaborate iron fencing and occupying the side and rear yards, the gardens united the house with former stables and a restored carriage house to the north. Shrubs and perennials were planted in geometric parterre beds decorated with ornate statuary. Gravel paths lined with tile edging were woven through the parterres. 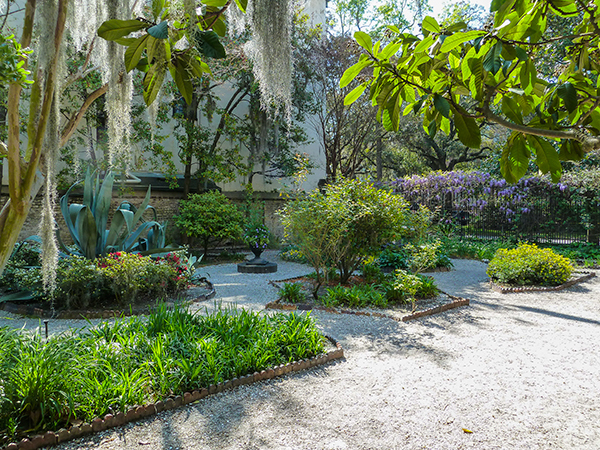 In 1965, the Wayne-Gordon House, the Low House (which also includes gardens by Lee, designed in the 1970s), and a carriage house used by the Girl Scouts as a headquarters were designated the Juliette Gordon Low Historic District. The following year, the district was listed in the National Register of Historic Places.